Standing just a few feet away from Reggie Wayne’s empty locker, LaVon Brazill knows the challenge that lies ahead. The task might seem daunting but Brazill is ready to embrace it. “I want to show them what I’m capable of doing and that’s being a big part of this offense,” Brazill said of helping to replace Reggie Wayne. After returning from a four-game suspension to start the 2013 season, Brazill put in perspective what the time away from playing and practice meant for the second-year wide receiver. 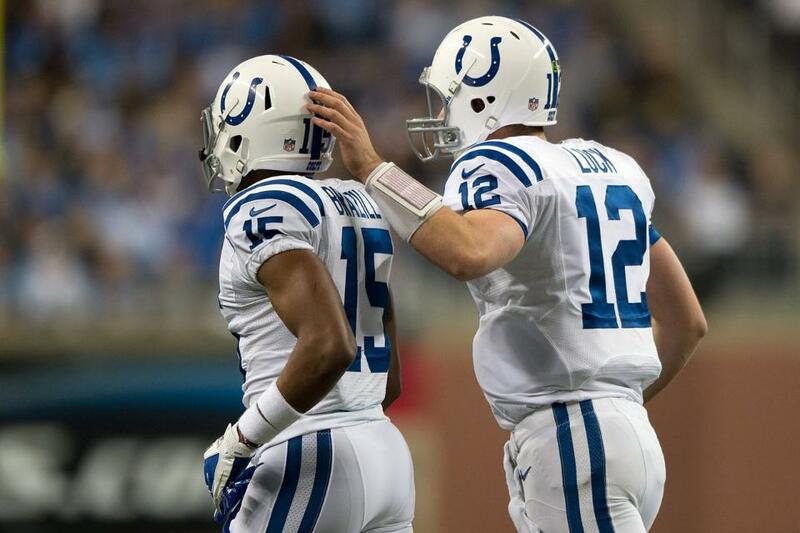 In his rookie season, Brazill caught 11 passes for 186 yards and was second on the Colts with 16.9 yards per catch. Those opportunities gave the Colts 2012 sixth round pick the “confidence” to play at the NFL level. In Wayne’s absence, the Colts young receivers have turned to five-year veteran Darrius Heyward-Bey for leadership. On Wednesday, Chuck Pagano spoke to DHB’s leadership and the message for the entire receiving corps moving forward. Should I start LaVon Brazill Sunday ?